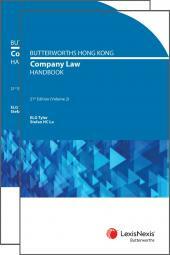 The Butterworths Hong Kong Bankruptcy Law Handbook (Fifth Edition) is an essential bankruptcy law reference, setting out the full text of the Bankruptcy Ordinance (Cap 6), the most important piece of legislation pertaining to the administration of bankruptcy law in Hong Kong. This Handbook presents the consolidated text of the Ordinance in a convenient and up-to-date form with section-by-section annotations. Annotations include references to cases assisting in the interpretation of each section, relevant rules of court, definitions of words and phrases, discussion on practical aspects of application and contentious issues. Hong Kong and UK cases, related legislation and other authoritative materials are identified and discussed in detail. All annotations are fully cross referenced with comprehensive tables of cases and legislation. The Handbook additionally reproduces all subsidiary legislation to the Ordinance currently in force. 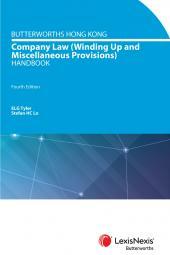 The fifth edition has been updated to include a wealth of case law, both in Hong Kong and the United Kingdom since the last update of the Handbook in 2012. Since the last edition of this book, the Bankruptcy Ordinance (Cap 6) has been amended with changes made to Sections 2, 30A, 30AB, 30AC and 30B. This series has been cited, with authority, in over one hundred court cases in the Hong Kong Court of First Instance, Court of Appeal and Court of Final Appeal. 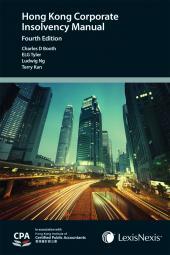 This Handbook will be indispensable to lawyers, government officials, banking institutions, businessmen, academics, students and others who are engaged or interested in the dynamic and ever-topical bankruptcy law and practice in Hong Kong.